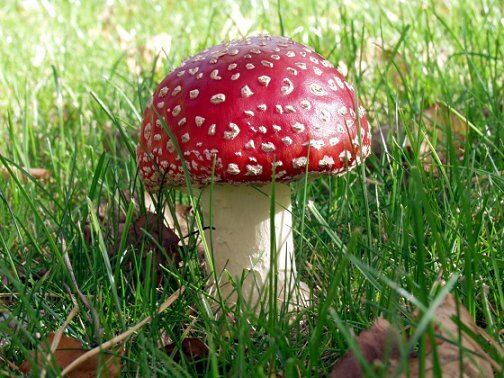 Toxic people, much like toadstools, are always poisonous, no matter how pretty they look. The Artist's Way by Julia Cameron suggests that participants make a list of friends who nurture, not enable. The author says to draw up a safety map of people who are supportive and those who are not. She suggests keeping that map nearby and adding to or modifying it regularly. The problem is that some of us don't even realize that we have toxic friends or family members. After some time working with people accused of committing acts of domestic violence and victims of abuse, I've seen the magnetic attraction that many people have to others who are not good for them. If you follow Buddhist beliefs, this would be considered attachment or a result of karma, but even if you don't follow Buddhism, you'd probably consider this to be co-dependence. Even in my own life, after about a few months of therapy for a relationship gone bad, my therapist suggested, "Lola, if you watched the video of what has happened without the sound, without your own commentary, what would the pictures show you?" My jaw dropped and I realized I had to make some changes. 1. Tell toxic people that you need a break from them to pursue personal matters. You don't have to be insulting, but be firm. Make sure the person understands that you need time alone and the importance of respecting your boundaries. Distance yourself by contacting that person less. Respond less or not at all to the other person's attempts to contact you. Make a commitment to working on yourself during this time. I recommend pursuing a program like The Artist's Way. 2. If the other person does not respect boundaries, or if you can't limit your contact, cut all ties. During that failed relationship I mentioned above, my boyfriend Keith was a drug addict. His best friend Dale was a drug dealer. His best friend's career choice was ruining Keith's chance of sobriety. Unfortunately, Keith's response was that Dale kept contacting him. The easy solution:Keith changed his phone number and never talked to Dale again. As difficult as Keith claimed it would be to change numbers, it was actually painless. A quick round of phone calls, texts and emails updated everyone on the new number. As attached as he was to the old number, his new number was the solution to many of his problems. 3. Don't be an enabler. Sometimes, we have to show tough love to people who suffer from addiction or other similar problems. Refer the person to the appropriate resources to get help. It's not a struggle that you have to take on. Often, we think we are helping, but we are only enmeshing ourselves in the existing problem more. Enabling does not help our loved ones who have problems and only serves to bring more problems to our own lives. We show more compassion to others and also help ourselves by leaving the big problem solving to the professionals. 4. Silence the negative voice in your own head. People who are toxic intentionally or unintentionally hurt us. They may make us feel helpless without them or that we will never be good enough to do what we really want to do. We have trouble removing them from our lives because we secretly believe them. We let that negative voice in our heads convince us that we really aren't good enough or that the toxic person has some redeeming qualities. Start replacing the negative voice with a positive one. Every time you think something negative about yourself, remember that what that negative voice says isn't reality. Try to replace each negative thought with at least two positive ones. 5. If you are in an abusive relationship, get out, make sure you are safe and take action to stop the abuse. I have seen many women and men forgive their abusers time and time again. Often it's the negative voice in our heads that says that the police won't do anything or that no one will believe us. The police will do something. And if they don't, the District or State Attorney (names vary, depending on where you are) will do something. Document incidents of abuse with photos, witnesses, and save threatening texts or voicemails. Call the DA or State Attorney and prosecute if you have been abused. The attorneys will work to incarcerate the abuser, send him to court-ordered counseling or treatment and will make sure that your rights are protected. Most counties have victims' advocates, who are trained professionals that will help set up a plan to ensure that abuse victims are safe. They can also help get counseling and other assistance that victims might need. 6. Heal old wounds by finding replacement support if you don't have friends/family who are supportive. When it finally hit me that my mother was not supportive of what I was doing with my life, one of my therapists told me that you have to replace toxic friends and family with other "adopted parents" and friends. That piece of advice changed my life. Finding dependable people who support you is priceless. Having a strong support network will help you celebrate the good times and get through the bad times. A support network could be an understanding friend or two, or you can seek out more organized groups centered around a particular goal. 7. Don't be afraid to lean on your support network during difficult times. There is no problem too embarrassing or silly or big. Your support network will help you. Find the most supportive person in your network, and don't be afraid to ask for help when you need it. Imagine if the roles were reversed. You would do anything to help a loved one in need. Your network will be happy to help you too. Just think of the songs Lean on Me and That's What Friends Are For. These songs are universally true. I know that this is the advice I give to everyone for every problem, but hobbies are great. They build self-esteem, help you make friends, keep you out of trouble and make you happier. You are not too poor, too busy or any of your other excuses, and believe me, I had every excuse there was. Go out for an hour and do something free that you enjoy. The world would be a lot better place if everyone had a few healthy hobbies. No matter what has happened in the past, don't dwell on it. Practice self-forgiveness, rather than repeatedly blaming yourself for past mistakes. You can't change the past, so stay positive and look forward to the future. 10. Don't be afraid to seek professional help. As you can tell, I'm no stranger to therapy. In fact, I highly recommend it. Seeking therapy doesn't mean there's something wrong with you, that you're crazy or weak. On the contrary, therapy actually shows that you are strong and insightful enough to recognize when you might need a little outside help. 11. Establish a spiritual or personal ritual practice. I always tell Ricky that one of the functions of church is to develop a sense of community. It helps you feel less lonely, and it's like an instant support network, if you find the right group. Look for spiritual groups that practice compassion and focus on the important stuff. Establishing a connection with God, your higher power, or at least the spiritual side of yourself, can help give you hope throughout the bad times because you realize that the picture is a lot bigger than just what happens in your life. Personally, I think Let It Be by the Beatles is a great spiritual anthem. It's playing in the background of my mind right now. What do you think? What is the best tip that didn't make the list? Posted as part of Good Life Wednesday, Rednesday, Ruby Tuesday, Type A, Wow us Wednesdays. Good article. I"m following now from "Read My Blog" on s-b. Hope you'll visit and follow on mine too. 00oo Lola...I love love love your blog...I agree totally. Even if it's family! I actually bought a book...Buddhism for dummies...lol, haven't had time to read it, just thumbed through it...but I will. @Bunny- I read that book. It's good. It was a book I read to find out the general idea of what Buddhism is all about, the history, etc. But if you want to read an interesting book that is really the Buddhist road map for how to be a good person, I recommend Tansform Your Life by Geshe Kelsang Gyatso. Interesting article. Your list could be very helpful to anyone dealing with toxic people near them. I'll certainly keep your tips in mind. Thanks for sharing. Very good and interesting writeup. There are some people in my neighborhood that needs your advice. We had a family stabbing this week. I found this article very interesting. I was lucky to be matched up with your blog on swap bot. I am now a follower. I really got this message! It is well thought out and hit close to home! Kraftykj passing thru from swap bot.